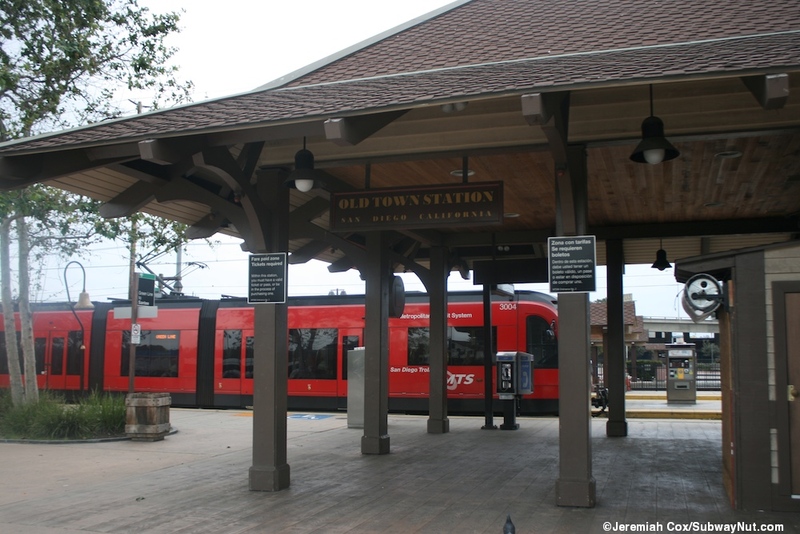 Old Town is an intermodal transit center (with many bus connections) and is one of the only rail station's in the country (along with the Santa Fe Depot and two stations in Dallas) with direct rail to trolley cross-platform connections. 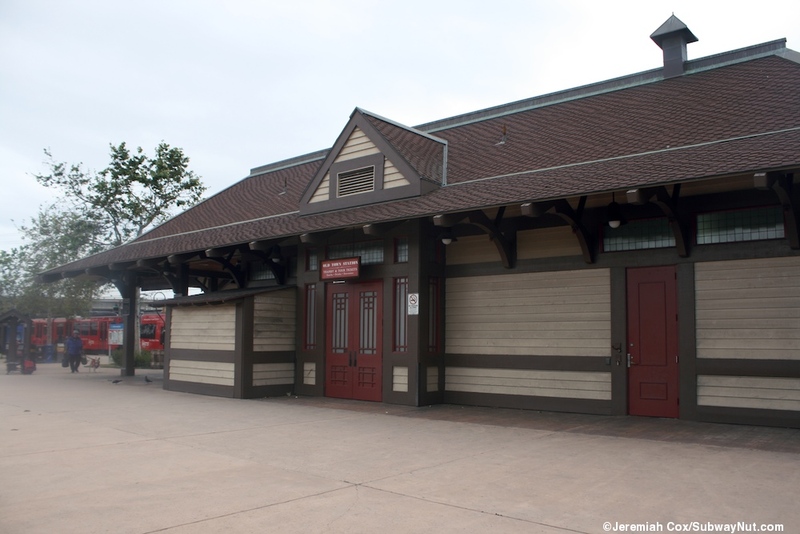 The station opened to trolleys on June 15, 1996 but I believe the stop was already being served by the Coaster Commuter Rail which was rolling through the station since its debut on February 27, 1995. 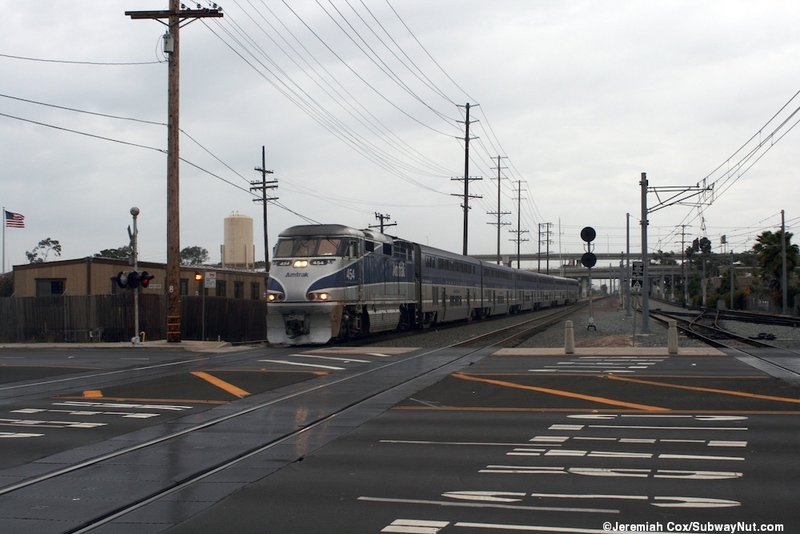 Beginning with the new timetable effective April 26, 2004 select Amtrak Pacific Surfliners, 3 trains per weekend in each direction started stopping at the station on weekends only. 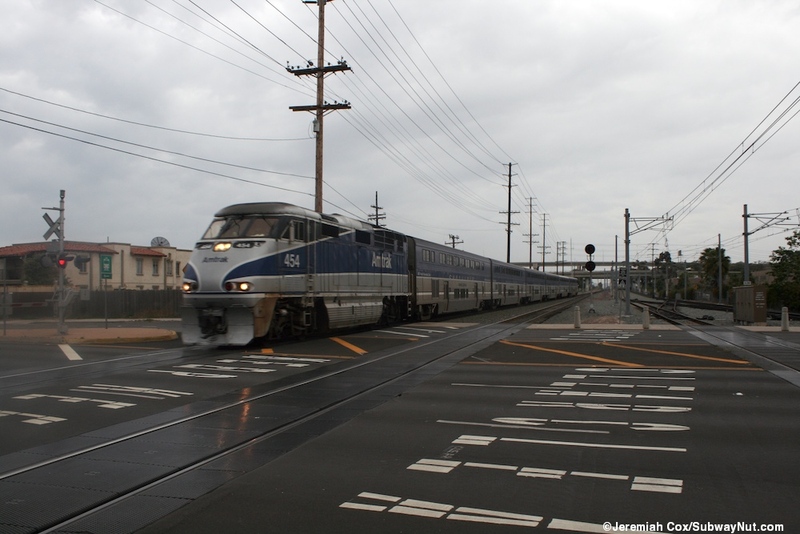 Amtrak service at the station has since been increased and today 6 daily trains stop at the station, including on weekdays. 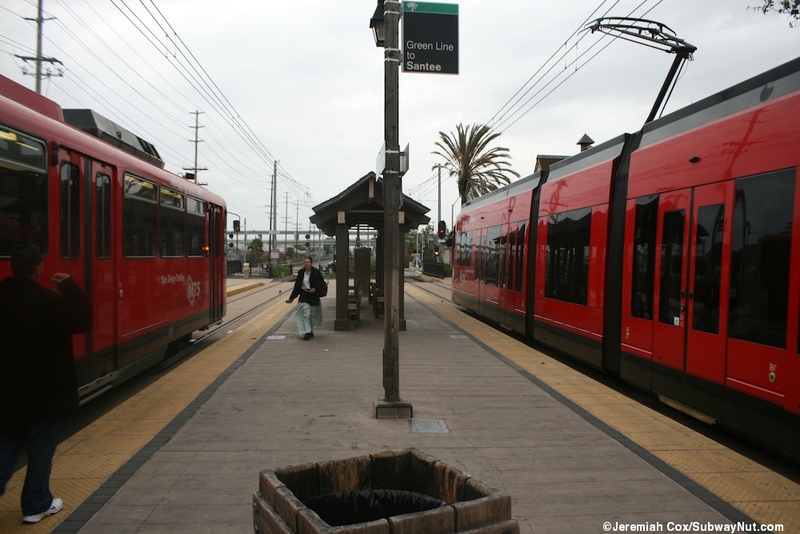 The station is a major transfer point for trolley riders since both the Blue and Green lines terminate at the station. 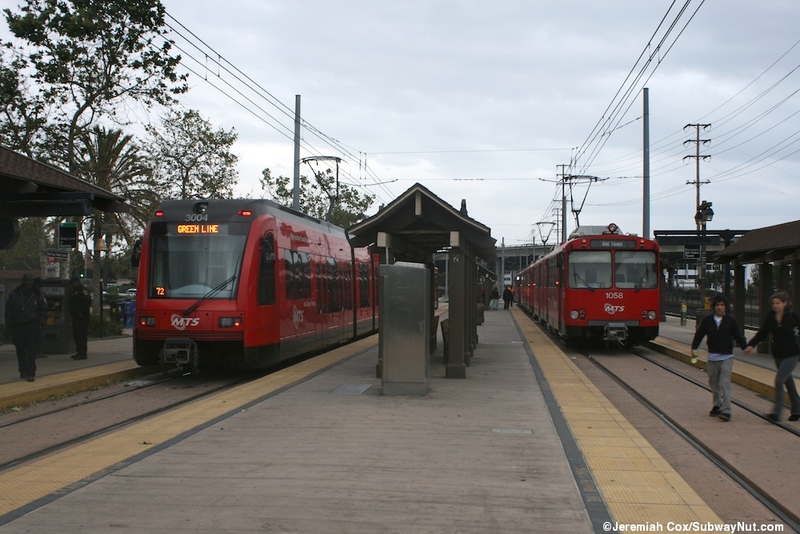 This is due to an awkward requirement necessitated by the ADA operating requirements of the low-floor S70 cars on the Green Line since 2005. 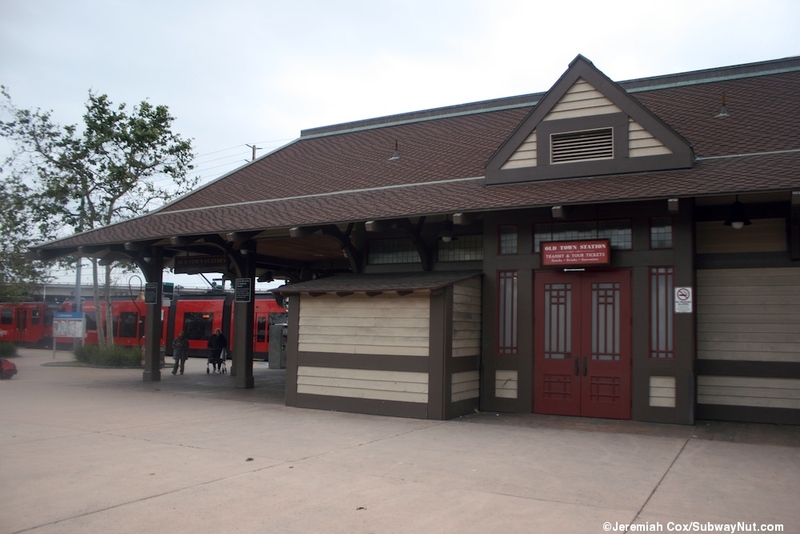 Special Event Service (for events like football games) make an intermediate stop at the station on their way to Qualcomm Stadium. 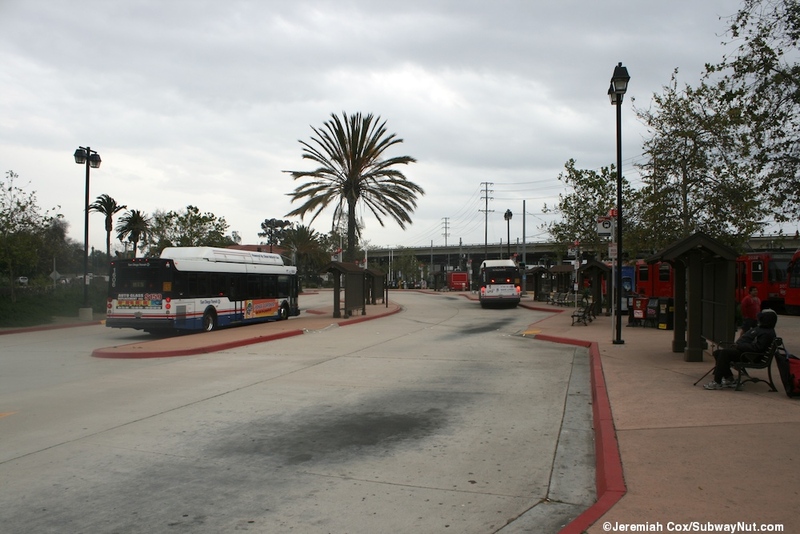 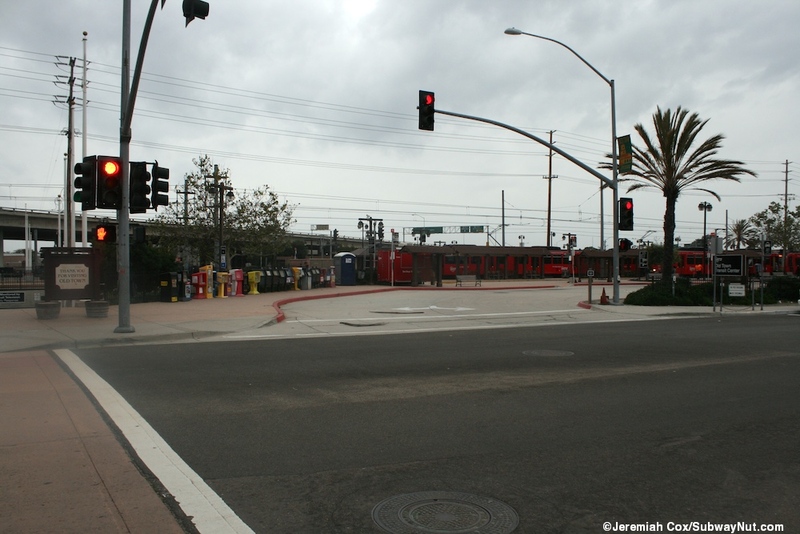 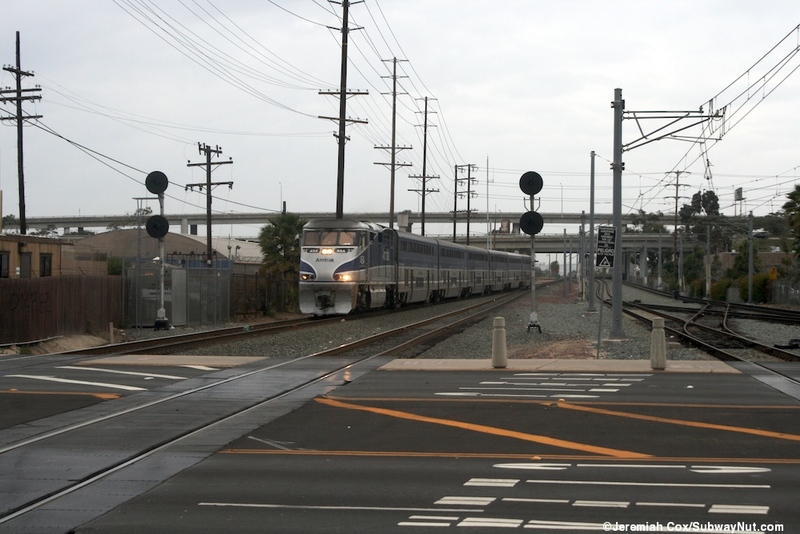 On September 2, 2012 this unnecessary transfer point ended with the Green Line extended to Imperial/Wilmington (and the platforms getting two inches added to them for S70s operations) and the Blue Line cut back to downtown until the Mid-Coast Trolley Expansion to UCSD is completed, scheduled for 2015. 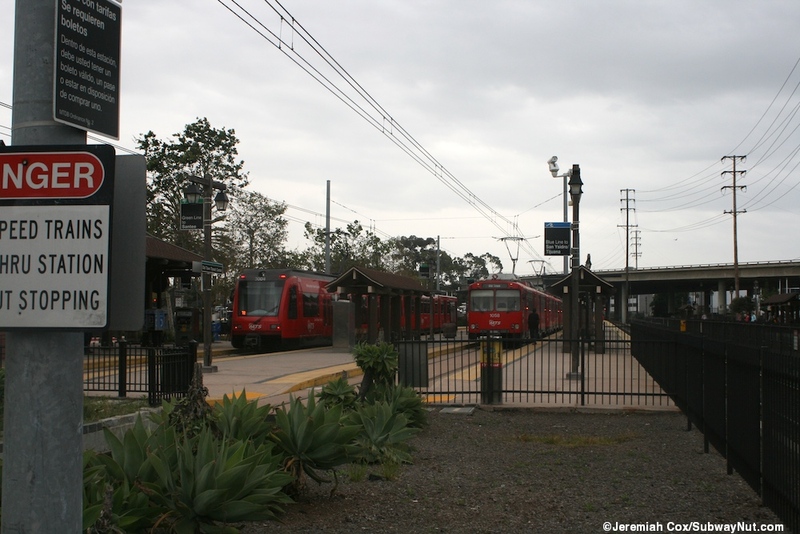 The station consists of four tracks, two for the trolley and two for main line trains. 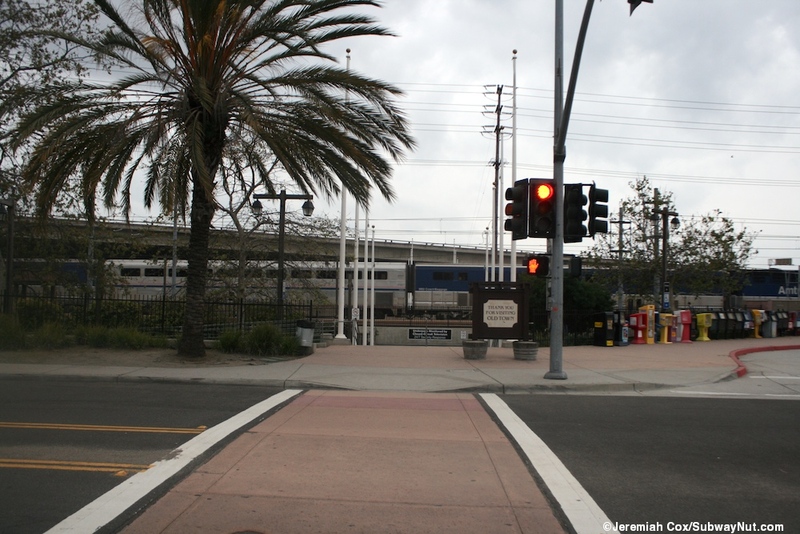 The trolley tracks have crossovers at each end of the station and the main line tracks have a fence running between them to cut down on trespassers, all cross Taylor Street at the northern end of the station and dip beneath I-5 at the southern end. 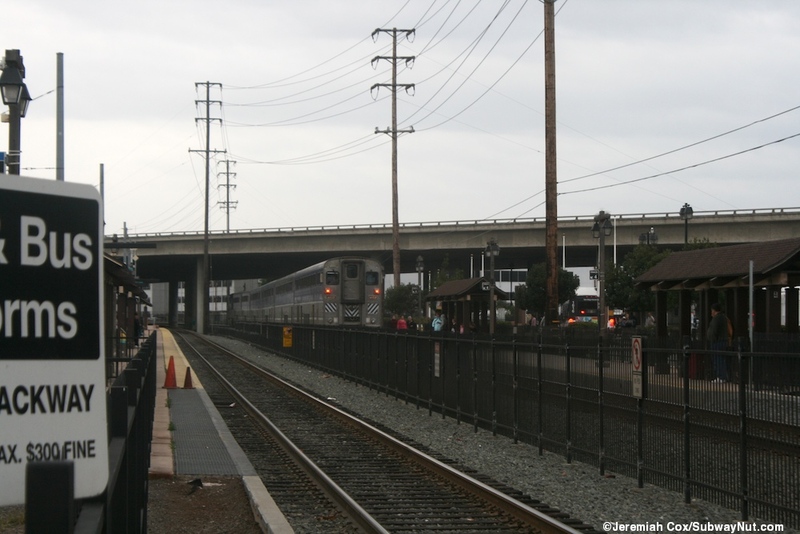 The main line railroad tracks have what appear to be a standard two side platform configuration. 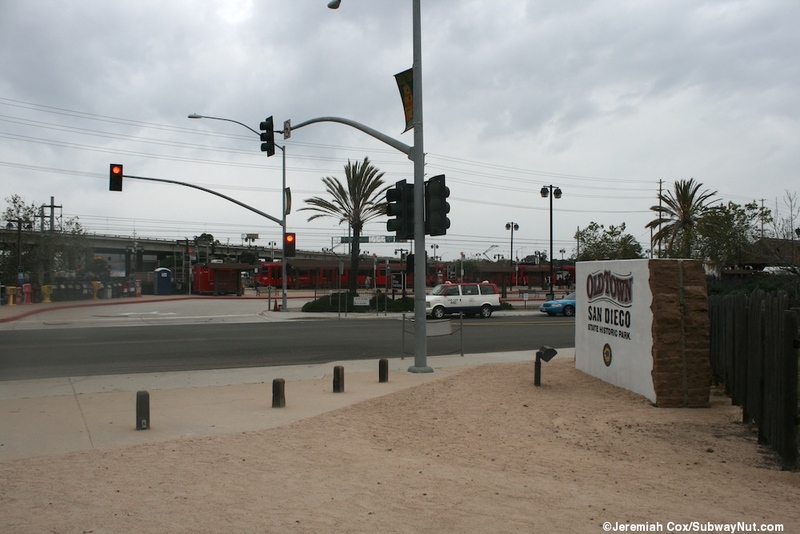 The northern end of the east platform is shared with one of the trolley tracks, there is than an island platform for the trolley tracks followed by another side platform (mainly due to the side platform stop restrains of San Diego's wheelchair lifts). 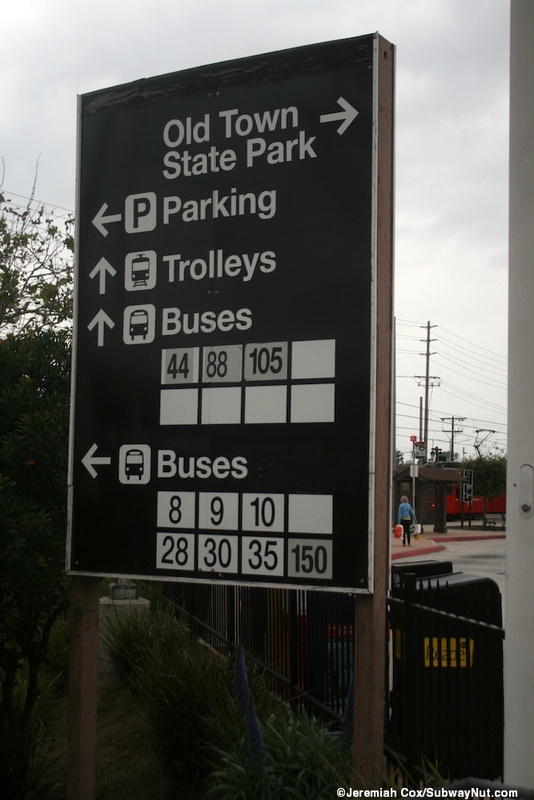 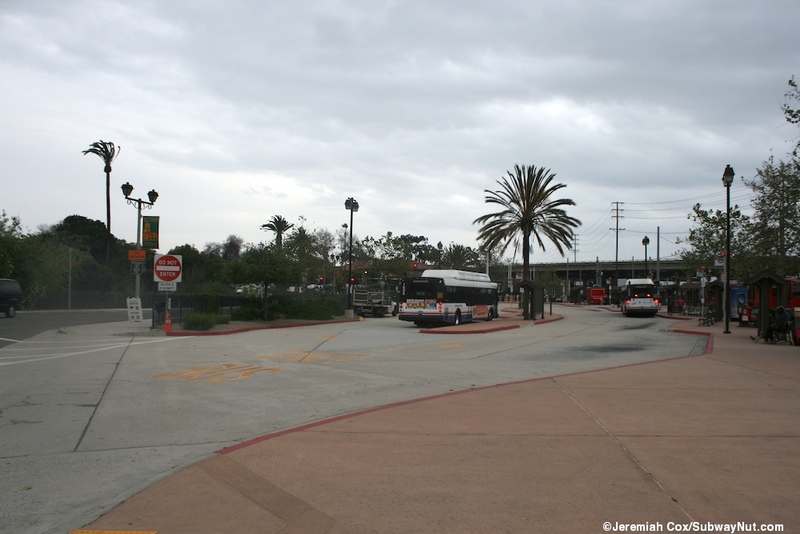 There are two bus loops at the station along each side of the tracks, and a parking lot just west of the western bus loop. 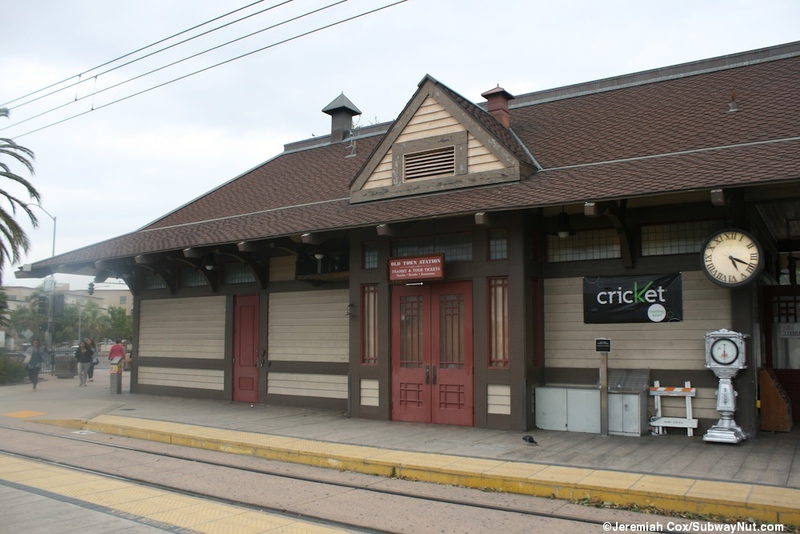 There is a building designed to look like an old depot along the trolley's side platform but is a replica with its wooden walls. 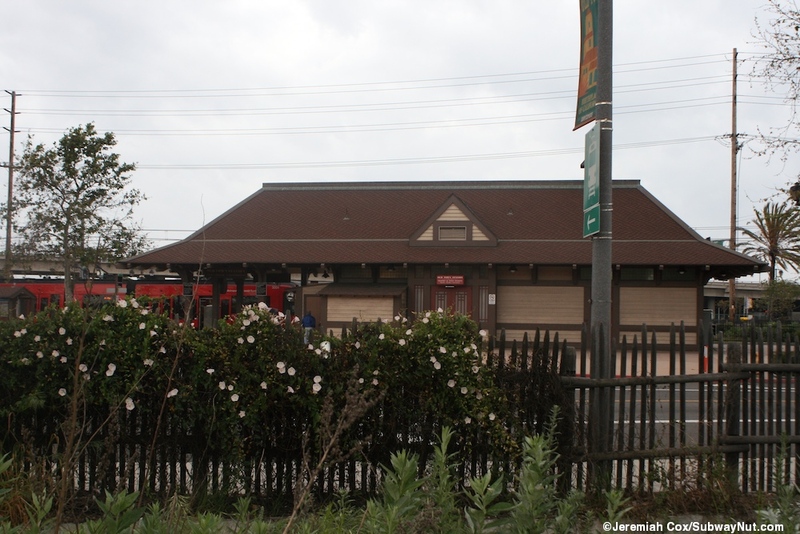 The platforms have (3 each) little mini wooden buildings as shelters designed to evoke the local Old Town Tourist Attractions. 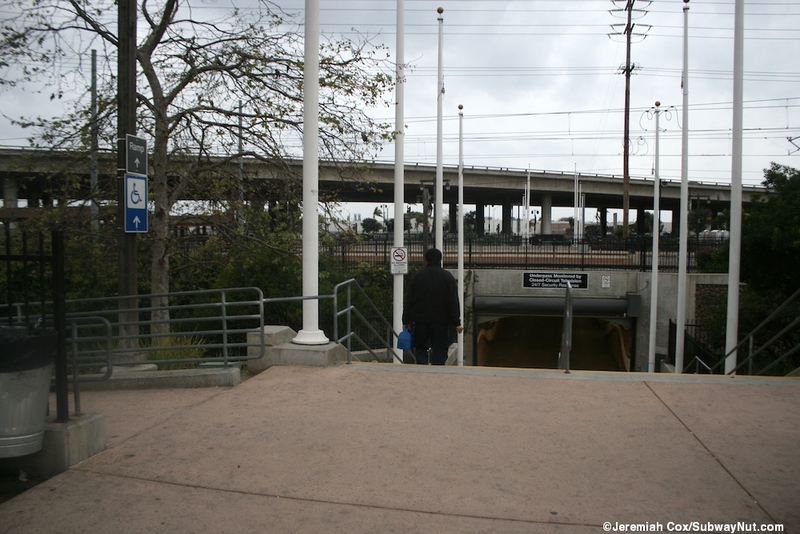 They are connected by a pedestrian underpass just beyond the southern end of the trolley platforms, this has ramps up to each side of the staircase at each end and a staircase to the shared trolley/train platform (access to the trolley's island platform is only by crossing tracks). 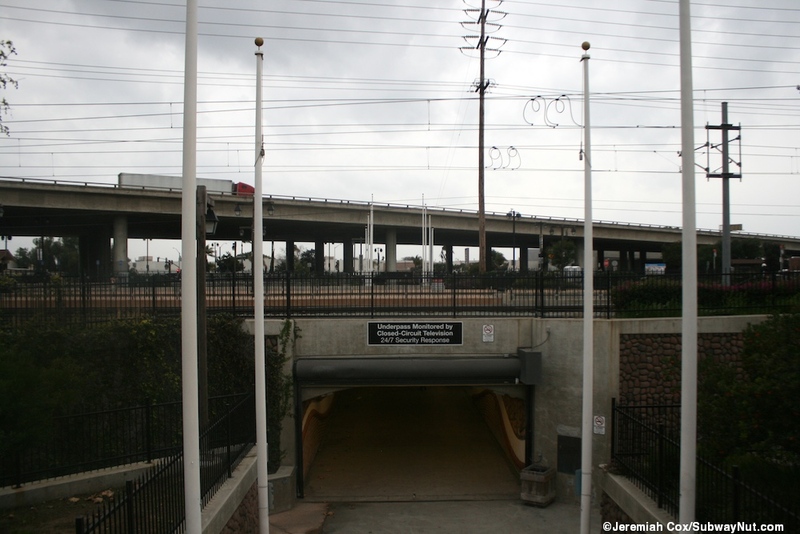 This underpass has "Archaic Passage," on both walls and was the first piece of public artwork on the MTS system The platforms are also connected by the Taylor Street crossing at their northern ends although the only legal access here is from the side platforms and crossing the trolley tracks within the station directly to reach the other platform (with big no pedestrian signs over the tracks).